The plot below shows the Bessel function for n=0,1,2,3,4,5. Order must be greater than or equal to 0. If order is not an integer, it is truncated. X must be greater than or equal to 0. 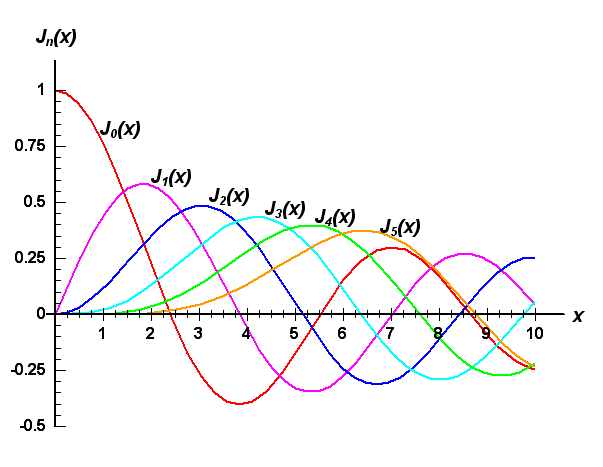 For more information on the Bessel function see the reference at MathWorld.